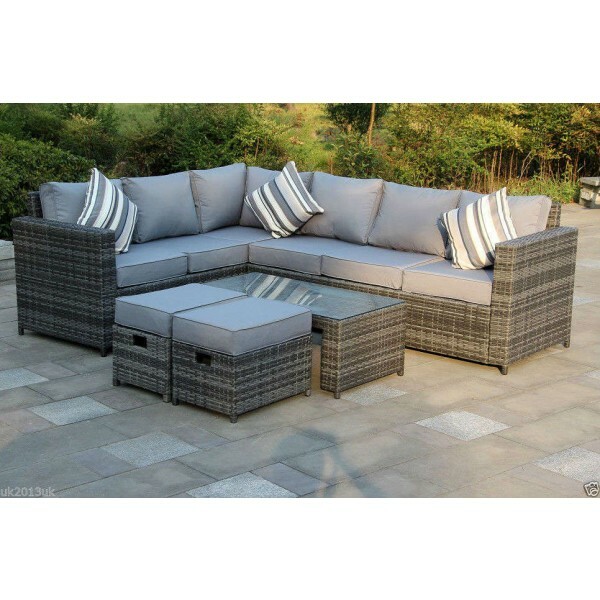 This set includes: 1 x three seater sofa 1 x three sided sofa 1 x glass-topped coffee table 2 x footstools All grey cushions Measurements: L shaped corner sofa: 180.5cm x 240.5cm x 70cm Coffee table: 100cm x 53cm x 38cm Footstools: 54cm x 38cm x 34cm Available colours : Brown/Grey PE rattan with grey cushions Please note: This set comes flat-packed with 3 boxes and self-assembly will be required. Delivery will be delayed without valid phone number. 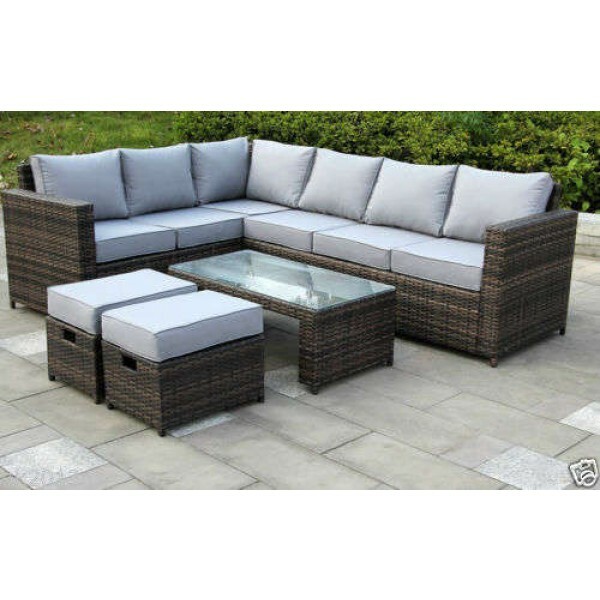 All the seat and back cushions are included, cushions are waterproof and washable(Hand-washing recommended). and small pillow cushions or parasol can be purchased separately from our shop.